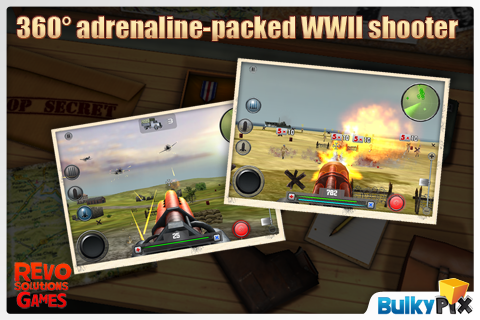 Artillery Brigade is a 360 degree, adrenaline-packed WWII shooter where the player takes on an overwhelming onslaught of enemy forces from land, sea and air. 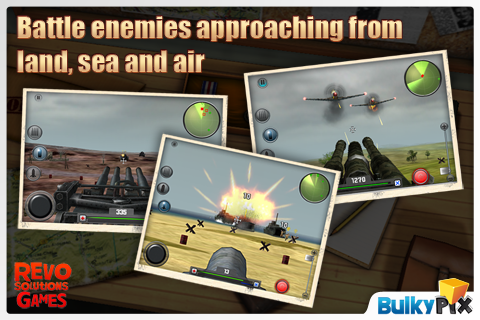 Defend your position by blasting away with high-powered, heavy weapons and machine guns, in an effort to defeat the attack. The amount of troops advancing and the pattern of attack changes and gets more difficult as you advance through the game. 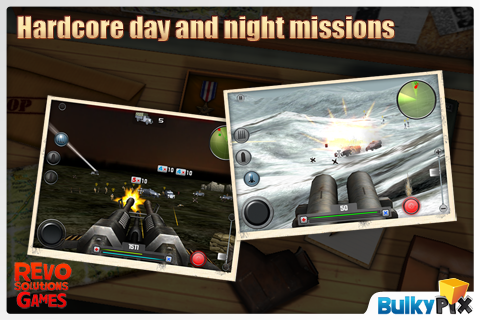 • WWII simulation with full retina display and auto rotate support. • Amazing graphics, visual effects music and true life sounds. • Game center and Open Feint leaderboards and achievements for competing with friends around the globe. 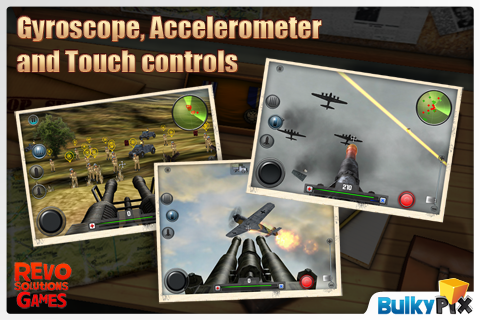 • Easy controls ­ choose between touch, gyroscope and accelerometer and use the great helpers like target finder, zoom and radar movement. • Day and night missions. 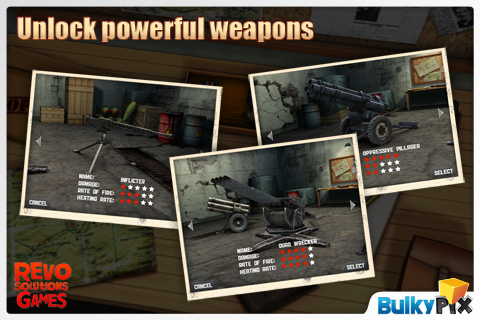 • 3 different classes of weapons ­ machine guns, AA guns, rocket launchers. • Unlock powerful weapons for each class. • Great replay value - unlock survival mode for each campaign mission accomplished. We fixed a bug in the nuclear silo purchase. If you didn't receive the extra nukes, please restore purchases in the market or just re-download the nuke upgrade (it will be free).